The last post showing the world at night really sparked an interest for me on economic development and sustainability. I remember seeing a photo in National Geographic several years ago showing the borderlands between Haiti and the DR and stark contrast between the two countries. Haiti is the poorest country in the Western Hemisphere and relies on the land for basic survival. Rampant over-logging to make charcoal combined with other unsustainable agricultural and irrigation practices created a humanitarian crisis in the country. Last year the United Nations Development Program launched a project to teach local authorities and farmers about sustainable practices in order to restore the waterways and forests along the border region that is home to 150,000 people. Obviously it will take many years to bring the land back to its natural state, but the lessons learned can be repeated in other areas to prevent the suffering caused by unsustainable resource exploitation. I just found a cool graph on the EIA’s website that lays out the sources of the USA’s electricity generation. The one downfall is that it does not take into account the 2 billion kilowatt hours of small-scale solar like residential rooftops. Quite honestly, it wouldn’t alter the chart all that much considering the whole green section of this chart represents roughly 200 billion kWh. Let me know what you think – are you surprised? do you want to learn more? Hit me back. Few things effect international relations more than the balance of power. Whether it be water or oil, the first societies to harness the potential of these commodities enjoy the creation of wealth and goods such as cropland in the case of water and industry in the case of oil. Eventually each sector is going to grow and the demand for the input will outgrow the supply, leading to price hikes that make that commodity even more desired. Problems exist when the source of these commodities are located outside of that nations borders. The balance of power is then transferred from the first-mover user to the upstream producer of that commodity. This is where it gets interesting. The choice then becomes whether to use soft power (such as diplomacy, aid, or economic development) to gain influence over the producer or hard power (military action, sanctions) to force them to act. Only by reducing demand for the commodity in question can the consumer nation wrestle back control from the producer nation. This could include finding a substitute, developing new technology, or learning to use that resource more efficiently. In the case of water, there is no substitute. Downstream nations must learn to make the most out of every drop that they have. This includes studying what crops to plant domestically and supplementing others through trade. New technology such as desalination plants could also help secure access to clean water, but it will take an economic toll. In the case of oil, there are several substitutes such as biofuel, natural gas, and plug-in hybrid cars, but while we further explore these technologies, squeezing the most out of every drop seems to make the most financial sense. Inn-o-vate good times! Come on! Yes, it’s a terrible play on Kool & The Gang but it has an underlying theme – adapt to new conditions or miss the party. Just as Kool’s 70’s funk beats stayed the same, our music tastes changed and The Gang was left behind. The same can be said of companies. As many business know by now, if you can not adapt, you fail. Plain and simple. Look no further than GM or Chrysler – they failed to take notice of the changing tates of Americans as well as the threat from overseas competition and bam!, bankruptcy. Business is a simple game of evolution – use your skills to adapt to the ever changing environment, or die. Every animal and species out there today is a result of several others who didn’t have the necessary skills to stay competitive and were thus gobbled up by something smarter, faster, or more innovative. Why should our companies be any different? Now is adaptation time for energy companies, utilities, manufacturers and America alike. This message goes out to the utilities – America wants clean power. We love our televisions, the ability to read at night, power tools in the garage and streetlights on our block. But we like breathing without an inhaler better. We are just plain “sick” of breathing contaminated air. We depend on you to keep our houses lit, so tell us how can we solve this problem together? We want you to be part of the solution, because we like you. You were there when Lucy met Desi, when Neil walked on the moon, when the Berlin wall came down. You lit our front steps when dad came home from work, when mom put herself through night school and would do homework on the kitchen table, and our living room every Thanksgiving when generations of family would gather for a meal. So, lets figure this problem out together – we need power, you need innovation. What is going to power our nation for the next 100 years and beyond? I only ask because fossil fuels are literally killing us. Instead of spending ridiculous amounts of money fighting regulation upon regulation, how about you invest a little scratch into clean energy R&D? A simple innovation in clean power could pay off exponentially for you with the predicted increase in demand. Or partner with the Department of Education and work with them on how future students can be better prepared to tackle the problems of the 21st century. If you dont, someone else will . . . and they are going to send you the way of the Dodo bird. The following is an excerpt from a white paper I wrote this summer regarding the US solar industry. I hope you enjoy! The United States has until recently lagged behind Europe in terms of embracing solar energy. However, over the past few years there has been a steady increase in federal and state incentive policies that make solar energy more beneficial to producers and consumers alike. Due to the lack of a clear federal mandates, there are many policies and incentives offered through the federal government, state governments, local governments, utilities, and private companies. These incentives can be mandates to acquire a certain amount of energy from renewable sources, cash grants, tax credits, tax exemptions, performance based incentives such as feed-in tariffs, accelerated depreciation of equipment as well as many other measures. Renewable Portfolio Standards (RPS) are state policies that require energy suppliers or utilities to purchase a certain amount of energy from renewable sources such as solar, wind, and geothermal. For example, Arizona can say that 2% of its energy must be generated from renewable sources. This also creates a market for renewable energy credits (REC’s) that can be purchased, sold, or traded by the utility to comply with RPS policies. Currently, 29 states and the District of Columbia have enacted RPS policies. Together these states account for almost 40% of the US electricity load. In addition to requiring a certain percentage of the electricity mix come from renewable sources, states can create “carve outs” or “set asides” that specifically target a certain type of renewable energy. One example of this is New Jersey’s solar carve-out that requires 5,316 GWh of solar power by 2026. There is no federal RPS yet although the Obama administration has advocated for 25% of America’s electricity come from renewable sources by the year 2025. Financial incentives can include grant programs that usually target larger commercial or industrial projects and offer direct cash payments to defray the cost of eligible systems or equipment. A rebate is another financial incentive that is offered to the purchaser after a system has been installed in order to make the cost of the system more competitive compared to conventional energy systems. These direct financial incentives lower the initial cost of the technology and lead to an increase in production, thereby decreasing the price further. The goal is to have producers ramp up the production cycle to reduce costs to the point that a subsidy is no longer necessary. Performance based incentives are cash payments resulting from the actual energy output of a solar system on a dollar per kilowatt-hour ($/kWh) basis. These incentives are generally reserved for large scale solar facilities, however, there is a new interest in feed-in tariffs based on their success in Europe that can be used on a smaller scale and even residential properties through the use of net metering. Net metering allows the owner of a solar system to sell back energy to the grid via a contract with the utility at a determined rate per kilowatt-hour. Basically, electricity flows both ways through the meter – using power when it needs it and selling power back to the grid when the solar system is producing more energy that the facility is using. Net metering is the cornerstone of distributed generation, and distributed generation lends itself to solar photovoltaic installation on residential and commercial properties. Distributed generation not only allows a PV user to power their property, but it also rounds out the peak electricity loads that utilities face in the afternoon when power comes from the dirtiest sources. There is no federal net metering policy yet, but 43 states have adopted policies to allow it. Two of the most common financial incentives are direct cash incentives that provide money to lower the upfront costs associated with solar projects and tax incentives that reduce the tax liability of the individual, company, or organization that installed the solar energy system. Currently, the federal government is offering direct cash incentives for solar energy through the Federal Grant Program, but more than 30 states and 130 utilities throughout the US offer anywhere between a few hundred dollars up to a million in cash for solar PV projects. In 2009, as part of the American Recovery and Reinvestment Act (ARRA) the federal government passed the Section 1603 Treasury Grant Program that offers a renewable energy grant worth 30% of the value of qualified renewable energy projects including solar, wind, and geothermal. This grant includes commercial, industrial, or agricultural solar projects started before 12/31/2011 and completed by 12/31/2016. As of May 5, 2011 the 1603 program has awarded 2,044 grants for solar electric technology totaling $936 million for more than 6,300 individual solar projects in 45 states and has supported over $3.1 billion in investment. The largest problem with direct cash incentives is that they have to be budgeted for and are not politically feasible in difficult economic times. This leads to volatility in the solar industry and discourages long-term investment and stability. Tax incentives including credits, deductions, and exemption are other financial incentives that the federal and state governments are using in order to expand solar energy production. An investment tax credit reduces the taxpayer’s liability for a portion of the cost of buying and installing a solar energy system. Investment tax credits are fairly straightforward and usually limit the dollar amount that the taxpayer can claim. Policy makers favor tax credits because the amount of the incentive generally does not have to be appropriated or withdrawn from a budget. By encouraging development through tax credits, policy makers hope to grow the industry and eventually create jobs in solar and related industries and thus increase the tax base in that district. The 2009 American Recovery and Reinvestment Act (ARRA) also extended the investment tax credit through 12/31/2016 for residential solar electric installations. The credit is equal to 30% of expenditures with no limit to the maximum amount. The ARRA allows taxpayers eligible for the federal renewable electricity production tax credit (PTC) to take the federal business energy investment tax credit or to receive the grant from the US Treasury Department instead of taking the PTC for new installations. Currently, twenty-one states and Puerto Rico offer personal and/or corporate investment tax credits to help offset the expense of purchasing and installing solar energy equipment. Tax credits range from 10% to 50% of project costs, with maximum credit limits ranging form $500 to $12,500 for residential systems and from $25,000 to $10 million for commercial systems. However, a major drawback of the investment tax credit is the policy discourages institutions with a low tax liability from reaping the benefits. Recently, some states and municipalities have attempted to remedy this problem by creating provisions that would allow a “pass-through” option whereby the tax credit can be claimed by a third party who does have a tax liability. This could include a partner of a non-profit as well as homebuilders who integrate solar systems into new construction. 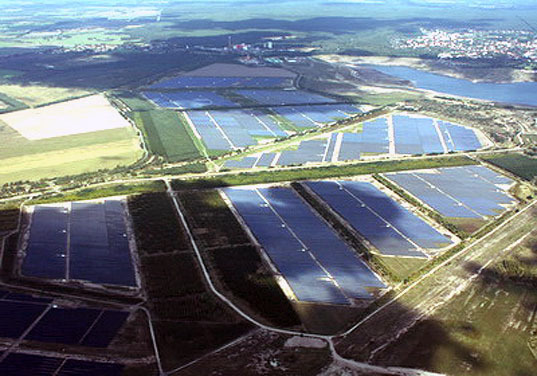 In either case it encourages solar power systems to organizations that would not normally be afforded the tax benefit.